I’m very proud of my new piles of dirt. 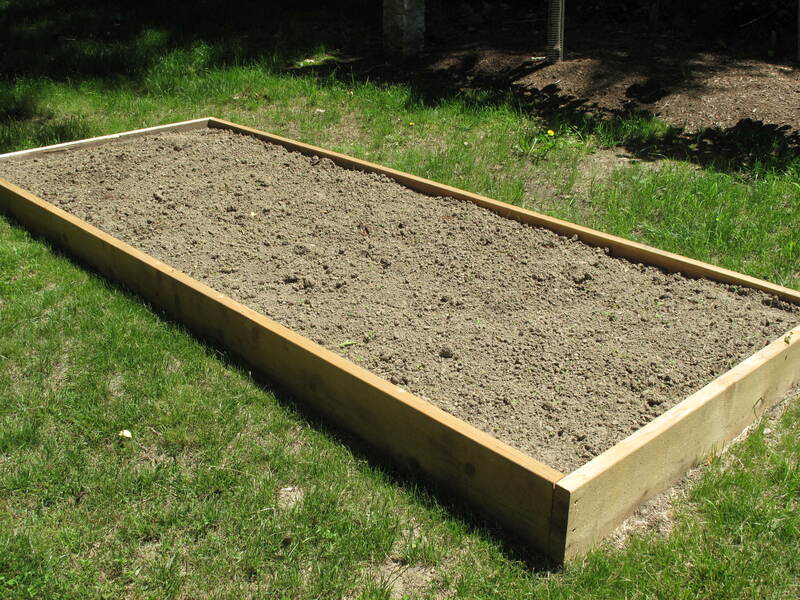 Actually, this is one of two new raised bed garden plots that I’m using this season to grow vegetables. I think it is hard to garden here in Connecticut. Much harder than what I remember when I used to garden with my family in Iowa. I have fought hard against all the various critter attacks on my garden, the soil filled with rocks of all sizes and shapes and the long periods of rain followed by long periods of heat. What I wasn’t prepared for was when I discovered the raised beds I had constructed last year didn’t seem to get enough sun. When everything just stopped growing when the trees took on all of their leaves, I knew I was in trouble. I thought I should give up gardening. However, I realized that even without much produce from my own garden, the whole process was a valued hobby and I enjoyed my time in the yard and in the garden. 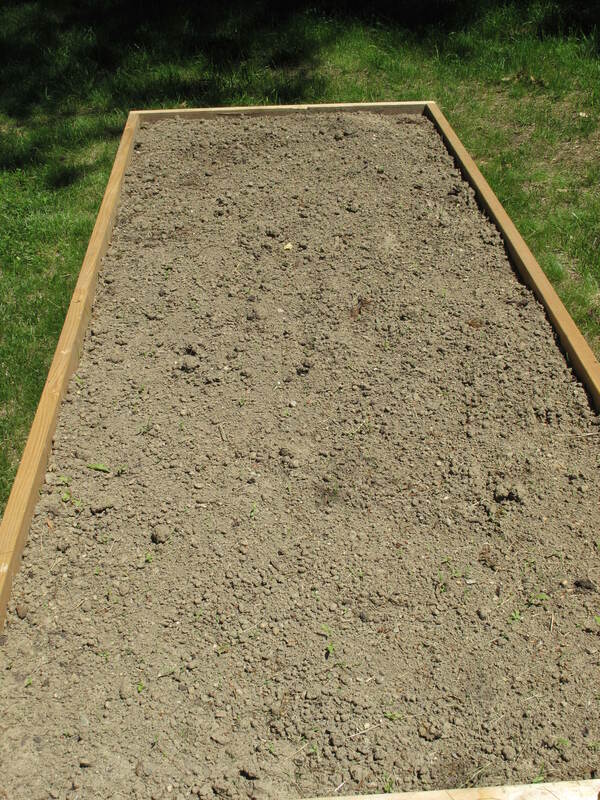 It was time to build some more raised beds, but this time I needed to find a spot with sun. A novel idea if I say so myself! A garden? With sun? Who would have figured! The two new raised beds are right in the back yard protected inside the 6 foot deer fence that surrounds the property. The spot is not as optimal as the old garden site, but there is no doubt that it receives very long periods of direct sunlight. The sun shines for hours and hours on the spots. So it is time for the planting to begin. Every year I’m surprised what happens along the gardening journey. I’m sure there will be plenty of surprises this year as well…..realizing that the garden doesn’t get enough sun should not be one of them. Let’s keep our fingers crossed. This entry was posted in Food, Gardening, Life, Nature and tagged Acorns, Blog, Food, Fun, Gardening, Life, Lifestyle, My Life, Nature, Photos, Spring, Thoughts. Bookmark the permalink. Yay for sunny yards! I tried for years in spotty sun. SO much easier with proper sunshine. Hi Little Sis. Welcome to Acorns On Glen. You’ve struggled too? Makes me feel better that I’m not the only one. Hopefully, my issue won’t become something different. Now that there’s sun….what’s next….a drought, crazy bugs. It never ends. I’ll keep everyone posted. Come back and visit us soon.